This week I have been wearing Barry M cream soda from the SS16 collection. Now that we're in spring, I find myself reaching out for those pale pastel like shades to soften up the colour palette of my wardrobe. 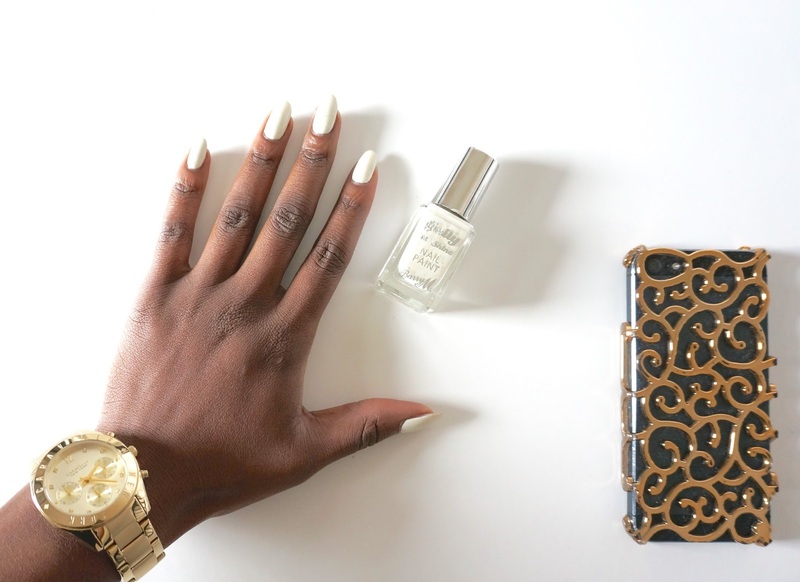 I find cream soda to be one of those ideal spring shades as its off white tone fits in perfectly with the other pastel and romantic hues from my wardrobe. Having said that cream soda it stands out when wearing a dark piece of clothing which is something I also quite like. As per my usual manicure routine, I applied a base coat then two applications of Barry M cream soda before finishing off with the Barry M plumpy top coat. 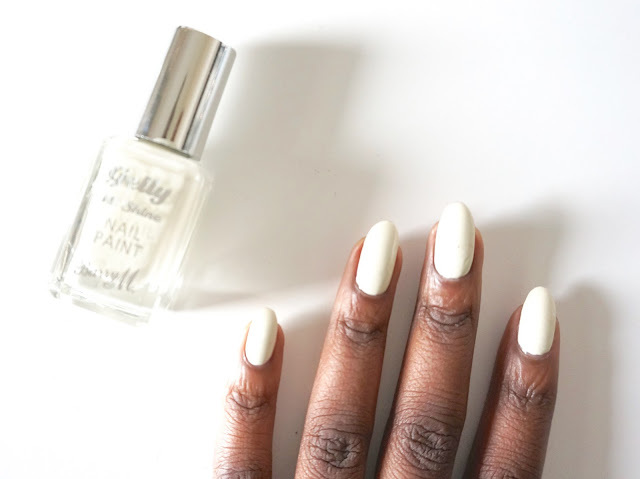 Applying a top coat is always a must for me as it not only gives my manicure that extra gloss and shine that I love but it also helps to maintain the fresh look of my manicure for longer and also prevent them from easily chipping.